The Cellomania ensemble was founded in 2000 by Eugen Prochác. 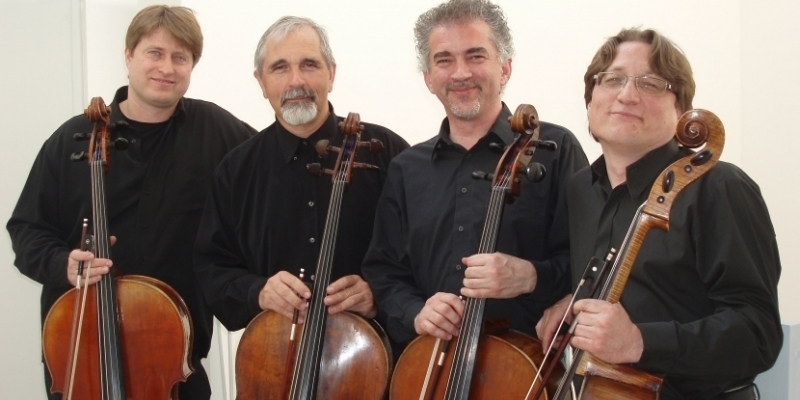 Members of this group are prominent Slovak cellists – Jozef Lupták, Jozef Podhoranský, Eugen Prochác and Ján Slávik. All the musicians are active as soloists, chamber-music players, music teachers and organisers of music events. The repertoire of the ensemble is quite extensive – from baroque to contemporary music – covering musical arrangements as well as original pieces composed for this ensemble. The ensemble has premiered several works by Slovak composers and performed with the world-famous composer Sofia Gubaidulina. They played a few of her compositions at the Melos Ethos festival in 2003. In October 2005, they performed the world premiere of the octet version of Cello Counterpoint by Steve Reich. They have often performed abroad, including at prestigious cello festivals in Beauvais, Paris, Regensburg, Budapest, Berlin, Salzburg, Ljubljana and Wrocław.